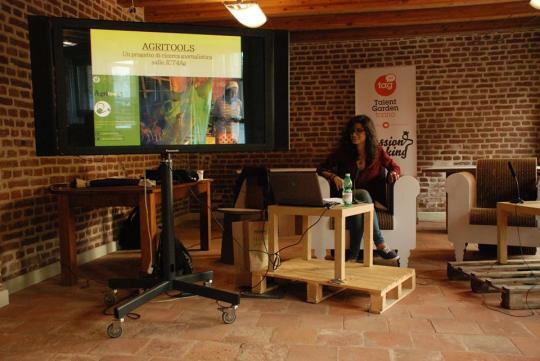 On Saturday 30th May Agritools has been presented at OrtinFestival 2015, a local event based in Piedmont (Italy) that brought together many exerts in innovation in agriculture, food and green gardens. Here you can download the programme (in Italian). We spoke about our project and the great startups and experiences we met in Africa, as you can see in the picture! Waiting for the next conference in June! Precedente Articolo precedente: Agritools online: just use it!